Princesa Sofia Gran Hotel, Barcelona. The Hotel Princesa Sofia is a well known hotel offering magnificent services and amenities, 500 luxurious rooms and 26 function rooms that are ideal to celebrate any occasion. This fantastic destination is found in the central location of Barcelona near Camp Nou, the airport, the exhibition centres FIRA de Barcelona, the conference centre and Sants Central train station. The hotel offers exceptional amenities such as The Club that offers VIP services such as reserving your flight, making restaurant reservations or touring information around the city. The hotel has a unique nutritional service that provides IQ smart fresh food daytime; balance healthy meals that take into consideration proper nutrition and a balanced diet. The Club Lounge is a comfortable lounge area with amazing views over the city where guests will find tables with chairs and armchairs, computers, internet and office package, printer, fax and photocopier all at your service. The perfect place for business travellers and professionals. 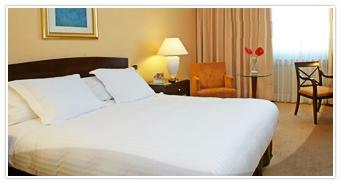 Enjoy the high quality comforts offered by this fantastic hotel.